C & P Security are constantly working to achieve the best possible solutions for security and although the collapsible gate, or as it's also known as; sliding retractable gate or concertina gate, has been around for a long time, it is still a firm favourite. Nowadays, customers don't have to settle for the old heavy gates with cumbersome locks that are fiddly to lock and are hard to line up. Many of our existing customers are regularly reordering our new retractable gates. The above image illustrates the "S" type or curved lattice grille in the closed position. A common misconception that many people have is that the grilles take up too much space when stacked in the open position. This is not the case as can be seen in the image below. They fold neatly to each side and take up approximately 15% of the total opening. Installation is simple especially with awkward skirting boards. Just measure between the walls and cut away the excess frame on the grille. It is really that easy and gives a professional finish every time. The use of bulky spacers and wall plates, that often cost more and are not so pleasing to the eye, are now a thing of the past. 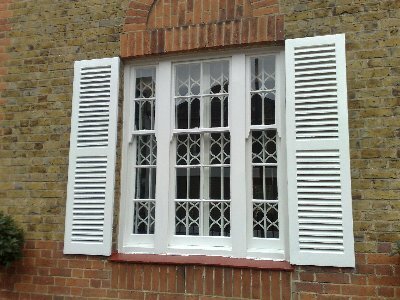 Whatever your requirements: Face or reveal fix, floating sash, bi-parting, single or top hung, bottom rolling or with special brackets, C and P's security grilles will fit everytime. 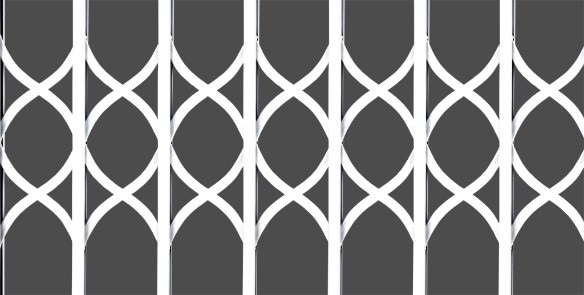 Styles available are diamond and curved lattice, as shown here. The above styles are available in top hung and bottom rolling operations. LPCB level 1 accreditation is available for high security applications. As illustrated in the above image, both sides of the grille lock into each other with hook bolts. Another hook bolt rises in the opposite direction at the bottom and once locked, the bolts are protected each side by overlaps. The key access is through the side and cannot be drilled out. 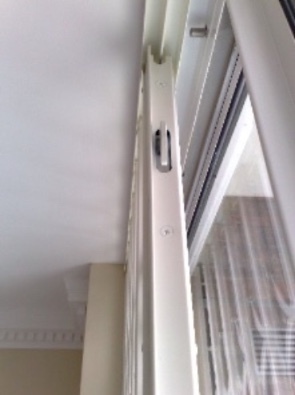 When locked, the hooks cannot be seen from either side of the grille and this provides a slim line look and easier installation of blinds and curtains. 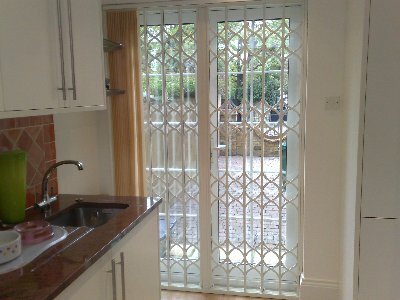 C and P Security grilles not only act as a strong barrier to a potential intruder, they also blend in well and can enhance the look of a plain window. 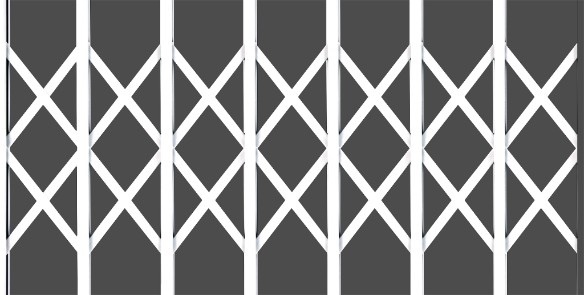 All C and P Security grilles are available in a range of different powder coated colours, at no extra cost. 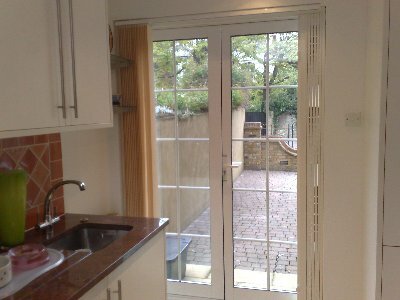 Call now on 020 8545 0404 or contact us for your trade price. Please note that new trade customers will need to provide their company details by email or fax, to verify their genuine trade status.